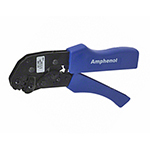 Amphenol 44 series associates easy assembly with high performance and an inexpensive price. The easy one piece structure is impervious against water, fuel, lubricants, ozone, road salt and other environmental impacts. 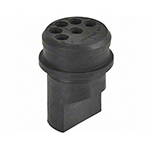 Furthermore the 44 series is vibration resistant and field proven in rugged applications. 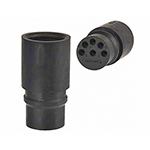 Due to the high quality and the excellent price/performance relationship there is a wide range of applications for this connector series. 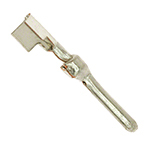 PRODUCT IMAGE DISCLAIMER: All images on this site are merely a representation of the actual part. Color, sizing, material and plating surface may differ. The best option is to request samples from the Product Manager.